Barska's Point Black series is specifically engineered for the .223 caliber bullet with a multi-grain bullet drop compensation chart (B.D.C) on the exterior elevation knob. The multi-grain B.D.C features three common med to heavy weight .223 bullet grains: 50 grain, 55 grain and 62 grain. 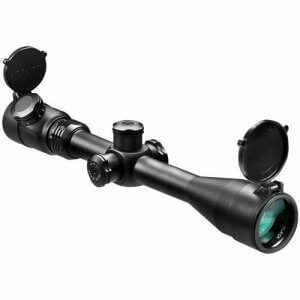 The Point Black series of riflescopes are engineered to be versatile full featured riflescopes to be utilized with the large selection of firearms that chamber the high velocity .223 bullet. Point Black riflescopes work in perfect combination with such firearms as varmint rifles, bolt action rifles, semiautomatic rifles, AR-15 / M-16 assault rifles, Mini-14 and ranch rifles. Point Black riflescopes also feature impressive fully multi-coated optics, high impact rated shockproof construction, side parallax adjustment, variable low to high power zoom magnification and a precision 3G reticle. Three of the five models feature a center lit green, red and blue 3G illuminated reticle for low light targeting. The riflescopes 1? 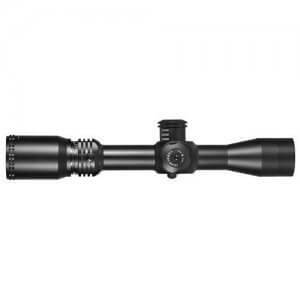 inch main tube features a shockproof high impact rated design to withstand repeated abuse in rugged shooting conditions. 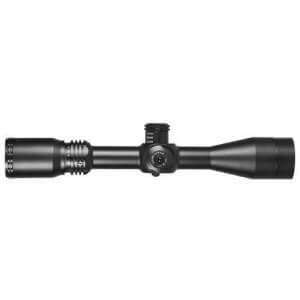 All Point Black scopes are CO2 dry nitrogen purged and o-ring sealed for complete waterproof / fogproof protection. 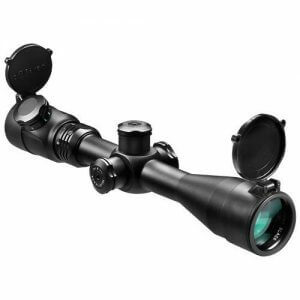 Point Black scopes include lens covers, flip-up scope caps and are backed by BARSKA?s Limited Lifetime Warranty.